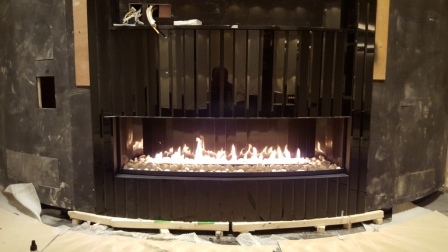 This wonderful curved gas fireplace is one of two curved fireplaces we designed and manufactured for our client. 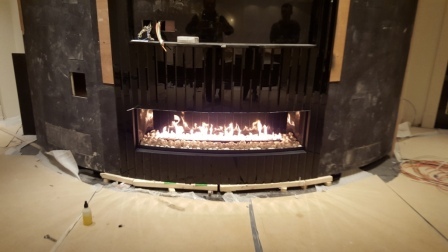 We installed these in a spectacular new build property in Wentworth. 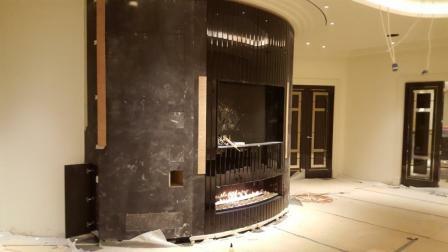 Both fireplaces were installed with a television above and both were fully remote controlled. They also linked to a new twin wall flue system and Exodraft fan unit. 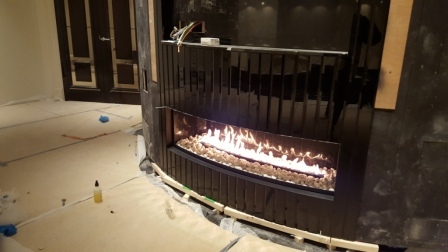 As a result, these fabulous curved fireplaces are two of the most ambitious and stunning fireplaces that we have worked on to date. For more information read our blog on our top 5 contemporary fireplace designs and installations.